Opening the bottle and it smells delicious. Certainly herbal with a freshness behind it. In the glass and there is almost a chilli like quality to it, mixed with the creaminess of vanilla. Adding a touch of water allows the apple to come to life, but not in a sickly sweet way. 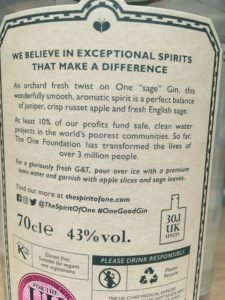 On the tongue the crispness of the apple shines through but with a savoury edge from the sage, but rooted in the piney juniper. There is a hint of apple sours behind it, but luckily this isn’t too obvious – sadly my university days made this a smell I can never forget. 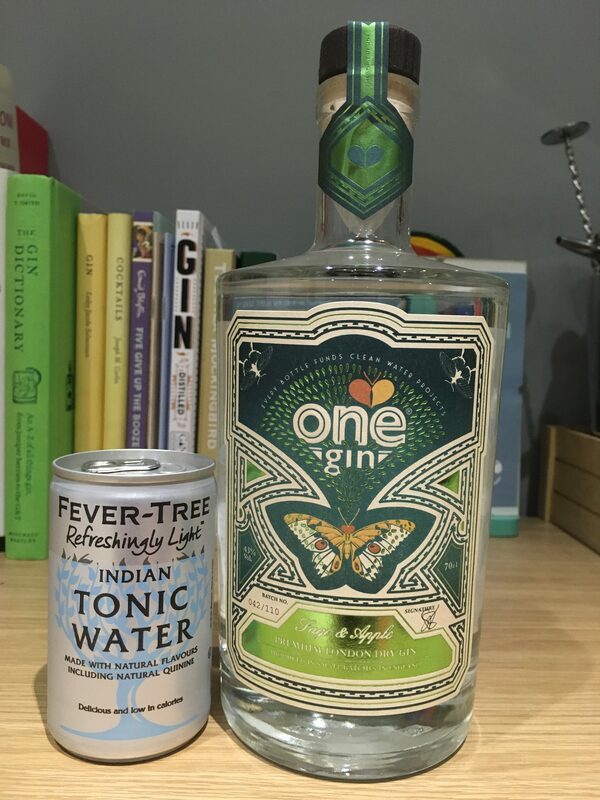 Craft Gin Club suggest mixing this with Lixir’s rhubarb and ginger tonic, but for consistency for the blog I’m sticking with Fever Tree light and once more the apple is forward on the nose. On the tongue it feels synthetically apple-y, it’s a bit harsh and almost too flavoured. 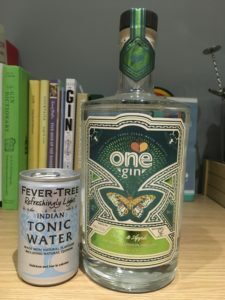 Perhaps this is why they suggest using a flavoured tonic to help counteract the tartness. 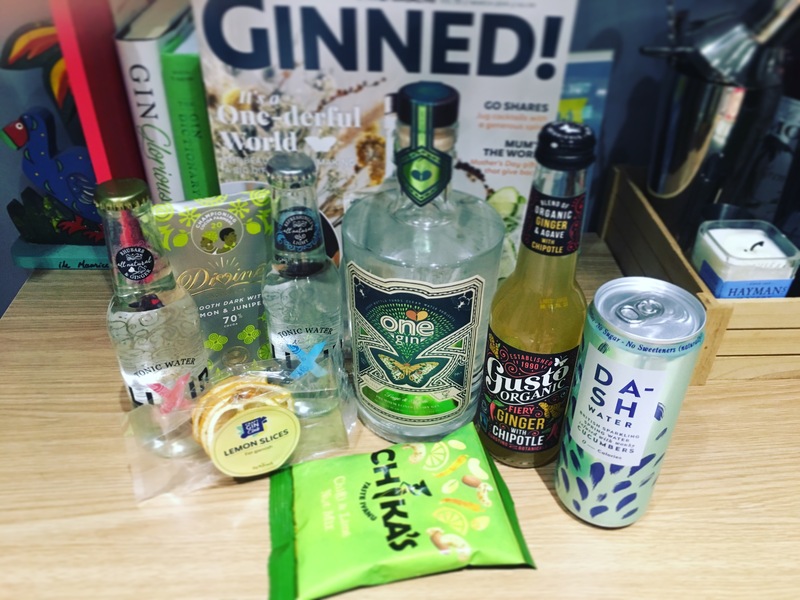 Craft Gin Club helpfully provided dried lemon slices as a garnish (which smell phenomenal when you open the package) which brings the flavours back into balance. 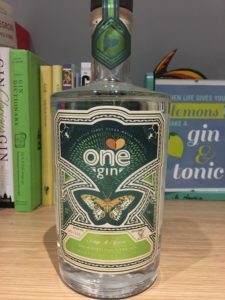 The real acidity from the lemon neutralises the sweetness from the apple and helps to bring the dryness of the gin forward – you get pine and herbs at the beginning before the apple develops at the back of the throat. 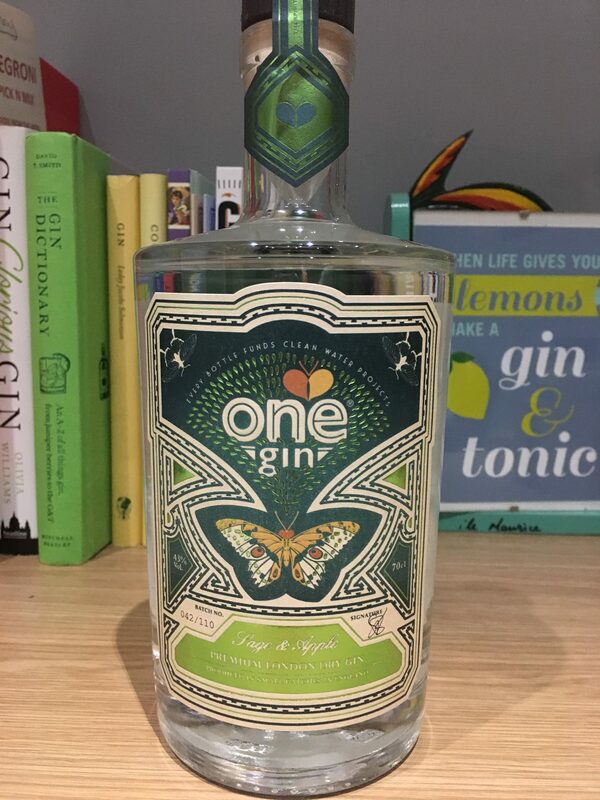 You can’t yet get your hands on a bottle of this gin, but you can get a bottle of their regular 43% gin from Gin Kiosk for £39.90 a bottle. 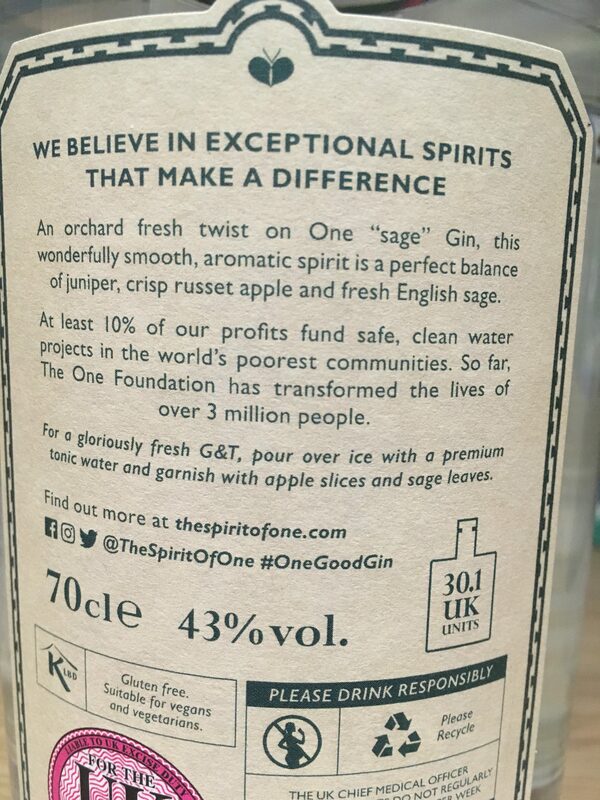 You can find One Gin on Facebook, Twitter and Instagram. Have you tried One Gin? Let me know your thoughts on Twitter and Instagram.